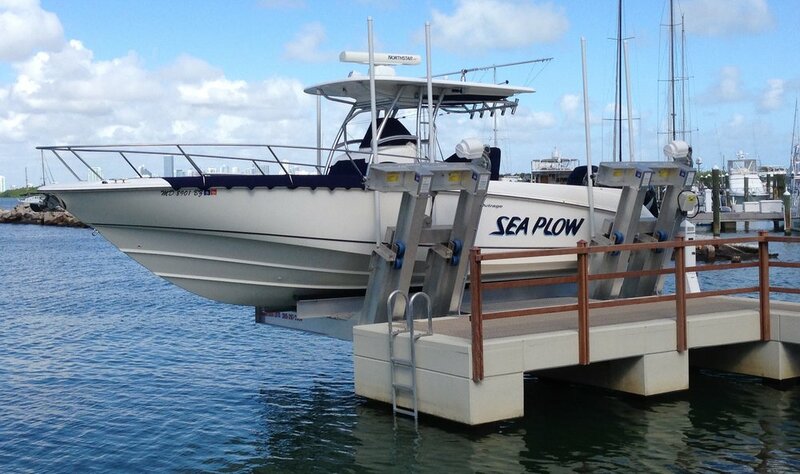 The Elevator Boatlift systems are built out of salt water resistant materials. (aluminum and stainless steel) Pending on the location we build these in an angle of 90º, 45º and 22º. Sea-Drive transmission. 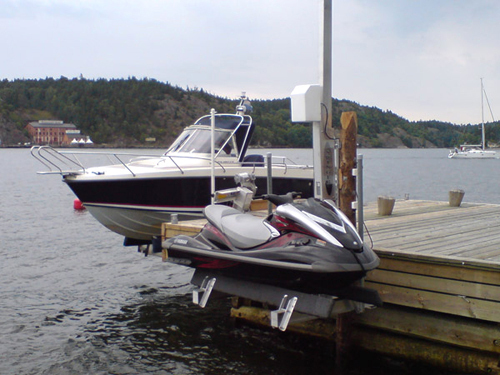 This patented drive is very powerful, almost noiseless and very maintenance low. 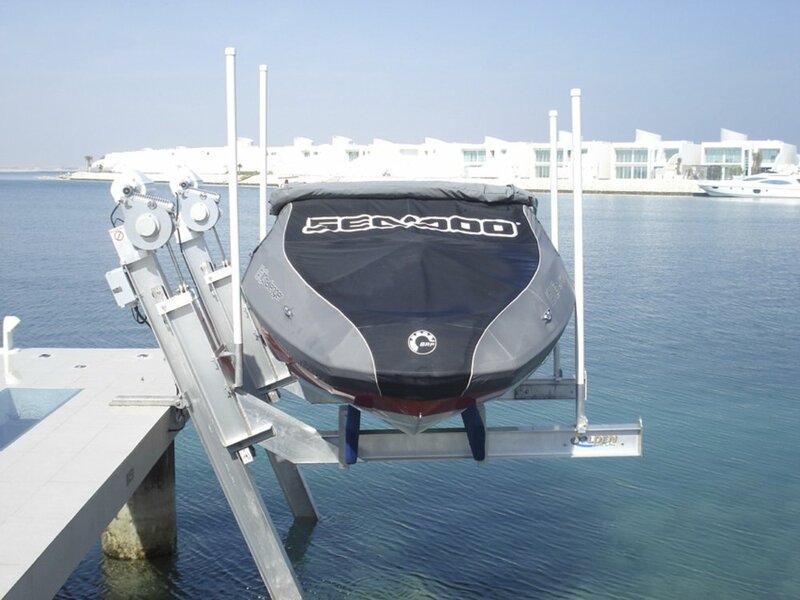 In addition to the correct technical operation we also foresee in the need for a specific designed "bunk-set" that ensures in correct and safe lifting. 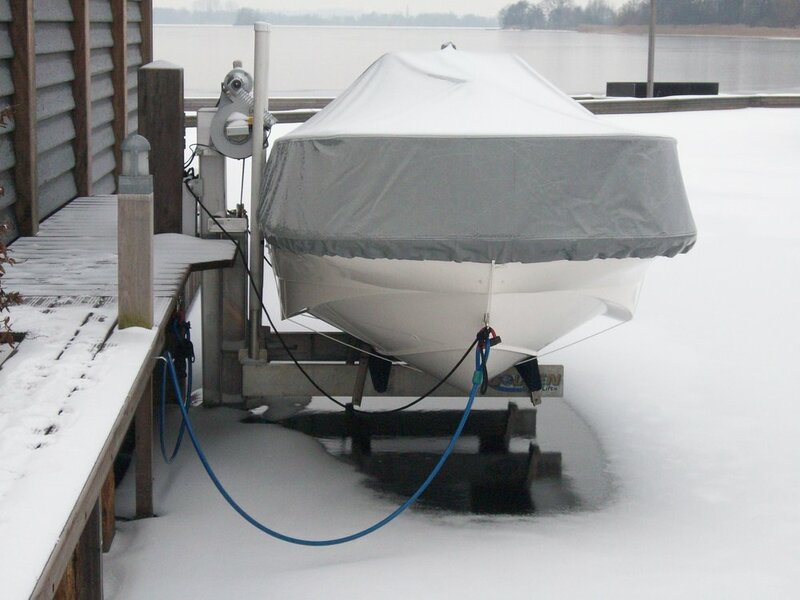 This bunk-set respects the structural integrity of your boat. 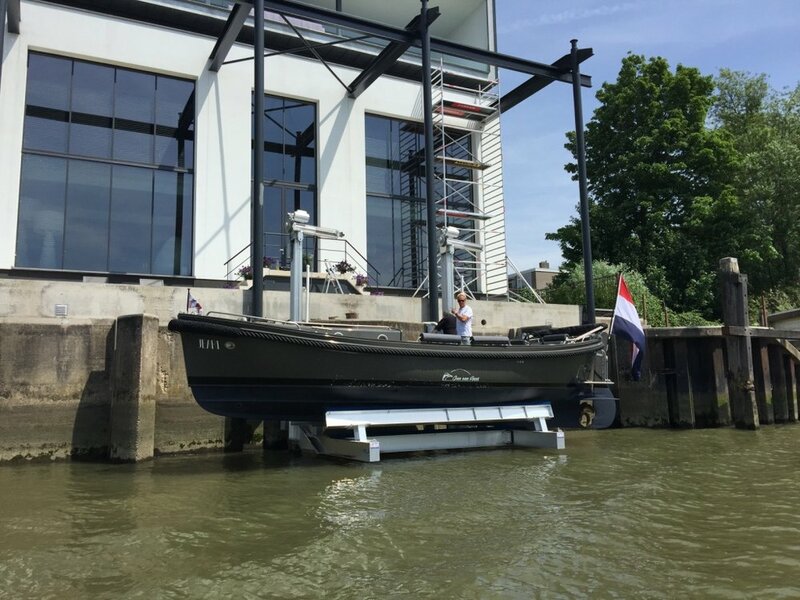 The Golden Boat Lifts - Elevator systems are designed and build to lift ships with a mass of 680 to max. 18.000kg. and all systems are CE-certified. 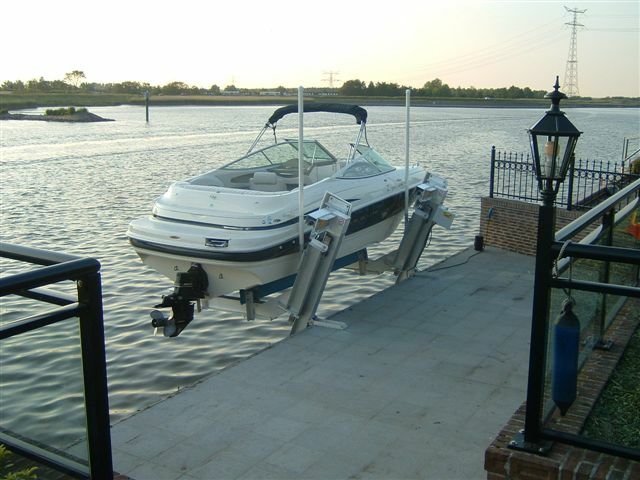 All boatlifts are supplied with a specification sheet and installation manual.